"I would highly recommend this agency, conveniently located downtown in Washington DC." "I am happy to recommend the International Spine Center - I've had a positive experience." "The staff is kind and caring!"  The International Spine Pain & Performance Center is a leading provider of evidence-driven, comprehensive multi-specialty care. With locations in Washington, D.C and Arlington, Virginia, the ISPP center is committed to walking patients through their journey to sustained pain relief and optimized performance. The ISPP center specializes in a number of treatment areas including regenerative care, infusion therapy, and performance recovery. With a team of fellowship-trained physicians, the ISPP center provides care based on the most effective and cutting-edge medical technologies. Focused on patient-centered outcomes, the ISPP team takes the time to develop individualized treatment plans custom to the needs of each patient. The team of physicians have treated a broad range of conditions including back pain, pelvic pain, knee injuries, spinal stenosis, hip arthritis, and herniated discs. With so much medical experience under one roof, the ISPP team is fully prepared to help patients overcome injuries and get back to their everyday lives. Interventional orthopedics is a specialized area of medicine that focuses on regenerative care with the use of stem cell and platelet-rich plasma (PRP) therapies using precise, image-guided technology. Your spine controls various parts of your body and plays an important role in your day to day functions. That’s why we specialize in spine care, offering services such as spinal cord stimulation, spinal stenosis, lumbar spine and cervical spine pain to get you the treatment you need. From neck, back and spine pain, to knee, shoulder and hip injuries, we specialize in getting you back to peak performance through interventional therapy and state of the art procedures. Are you struggling with sports injuries or repetitive stress like carpal tunnel syndrome? Or do you have headaches, back pain, or problems with your knees or shoulders? Kinesio® Taping is a painless, drug-free therapy that can provide relief. You don’t have to let arthritis sideline you. Learn how physical therapy can help you find relief from arthritis symptoms so you can return to an active lifestyle.